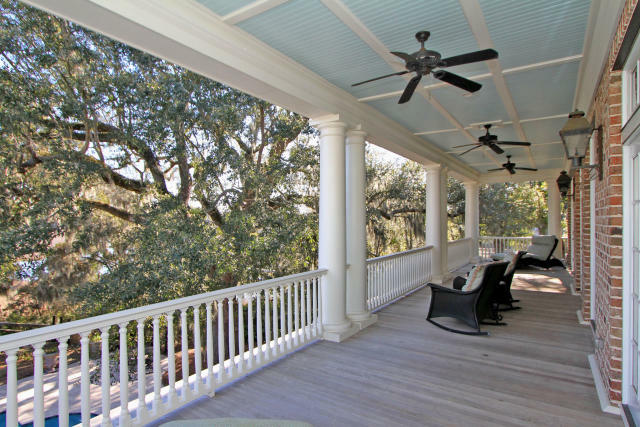 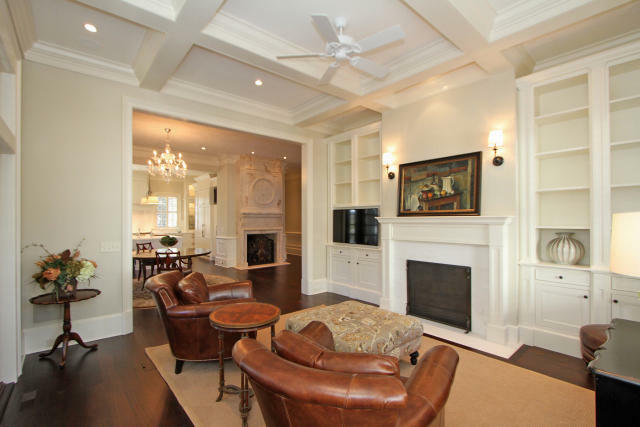 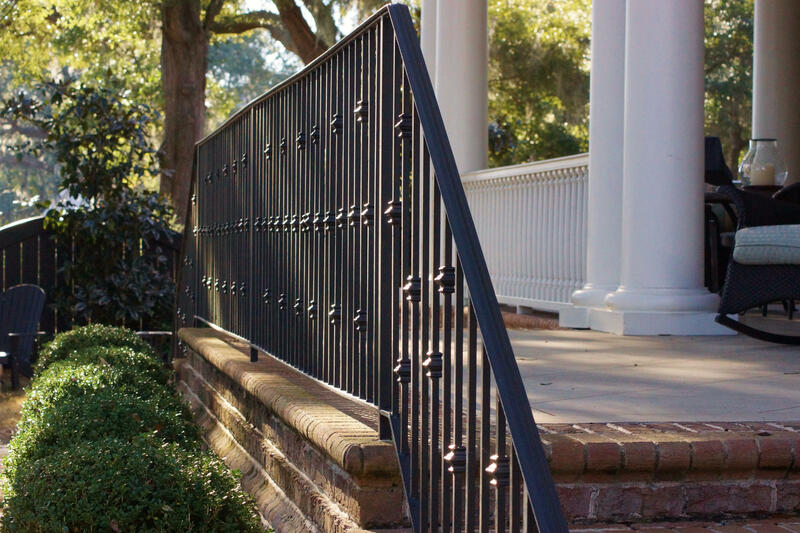 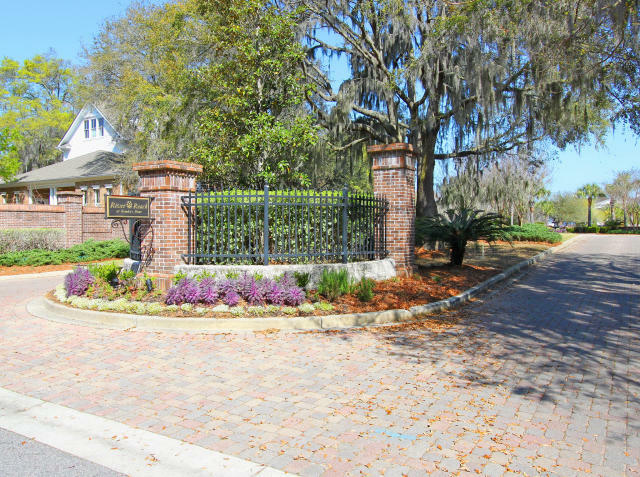 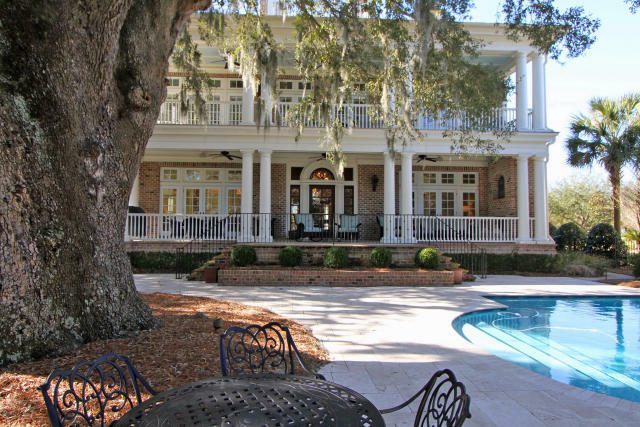 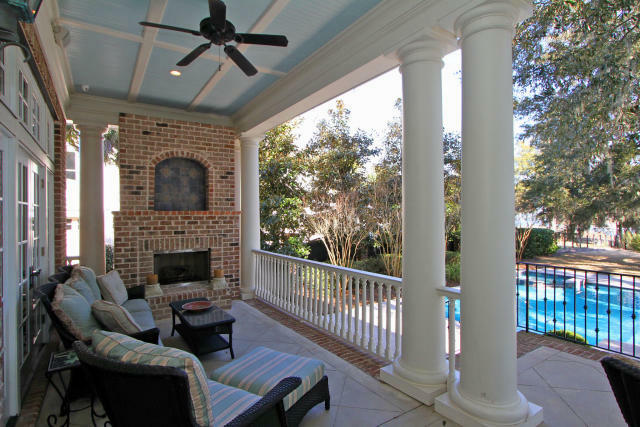 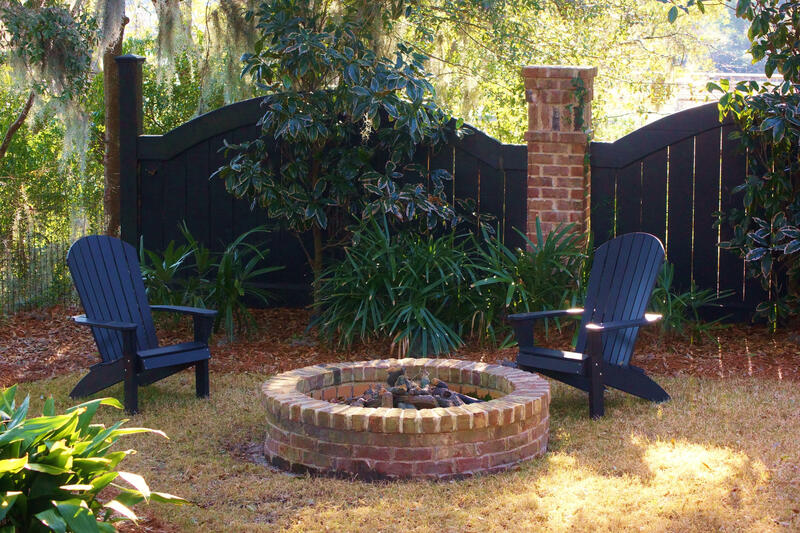 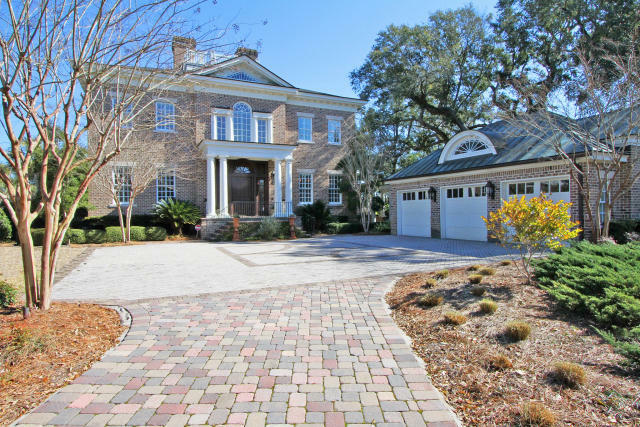 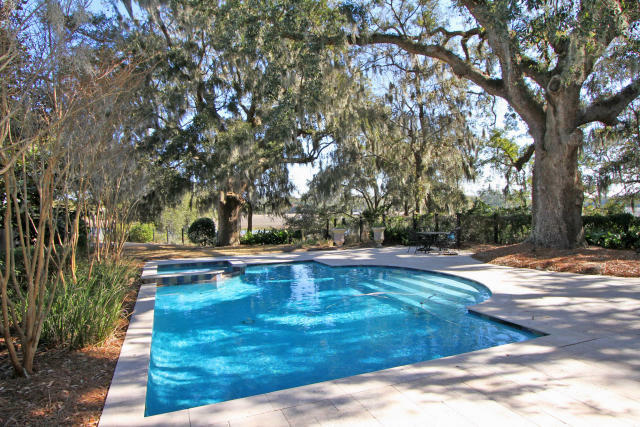 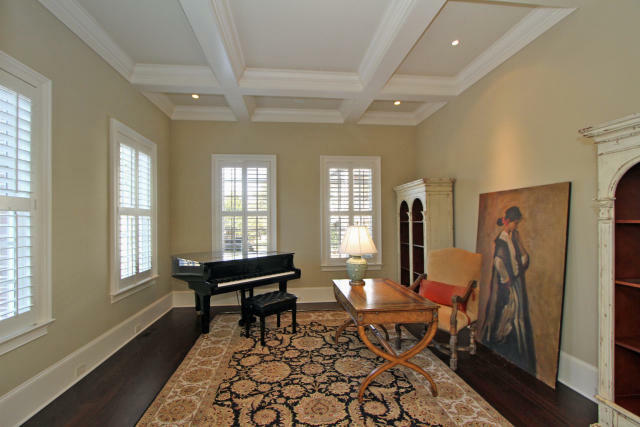 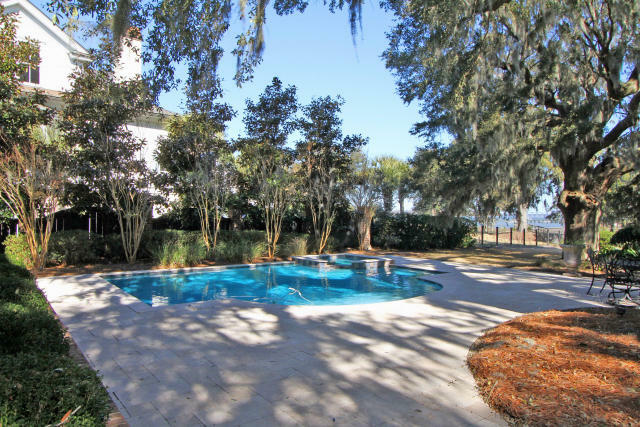 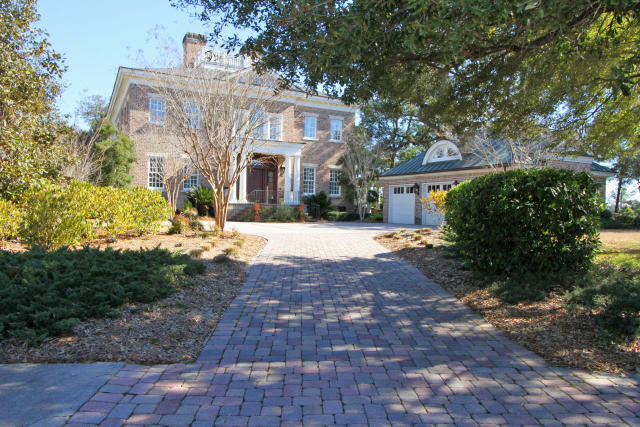 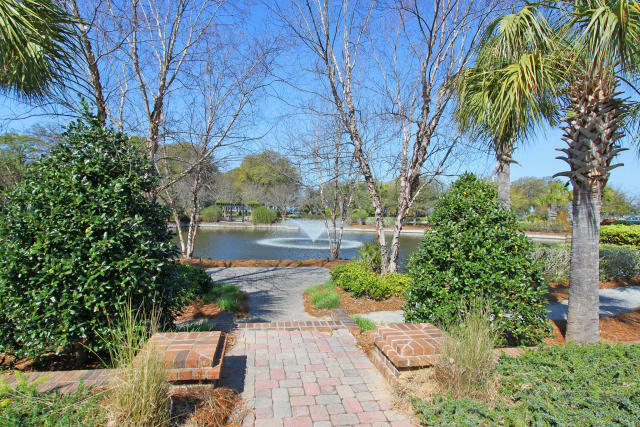 Deepwater estate nestled on .78 acre located less than 10 minutes from downtown Charleston. 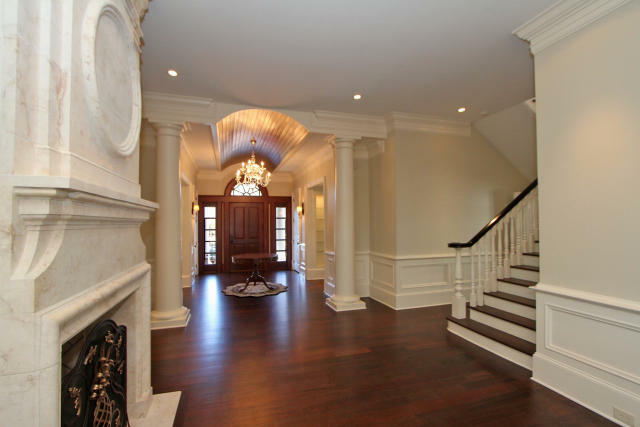 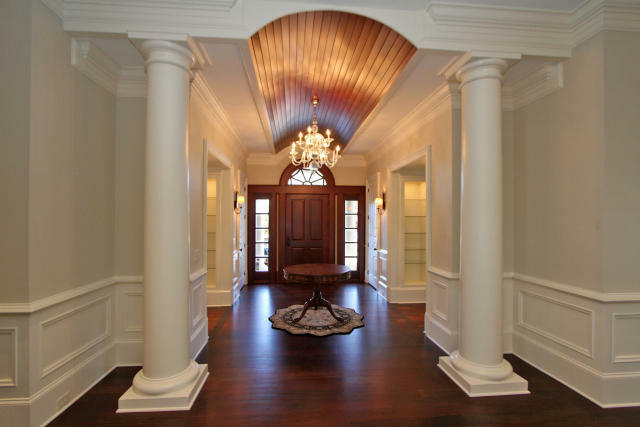 The grand home is meticulously designed by Chris Rose and constructed by Buffington Homes utilizing Georgian style architecture. 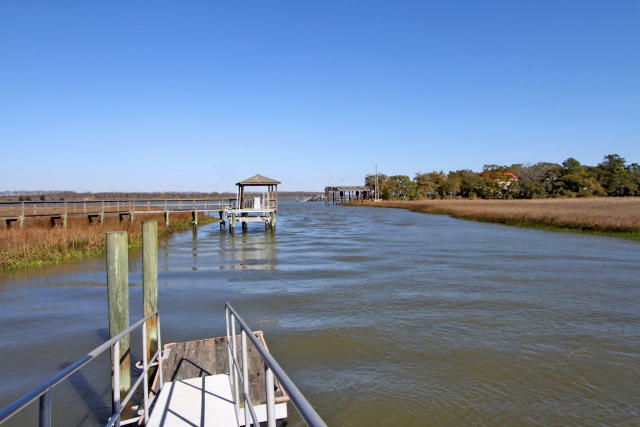 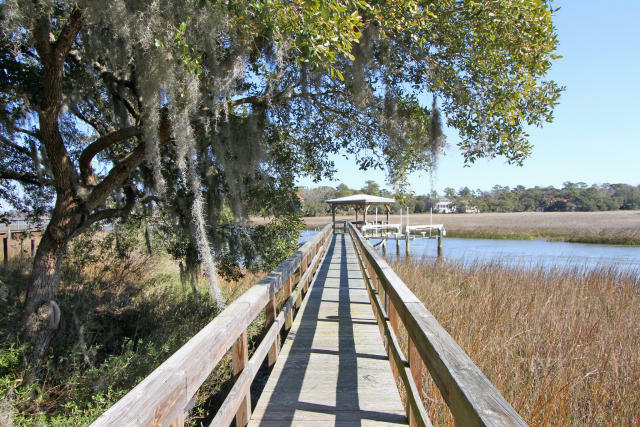 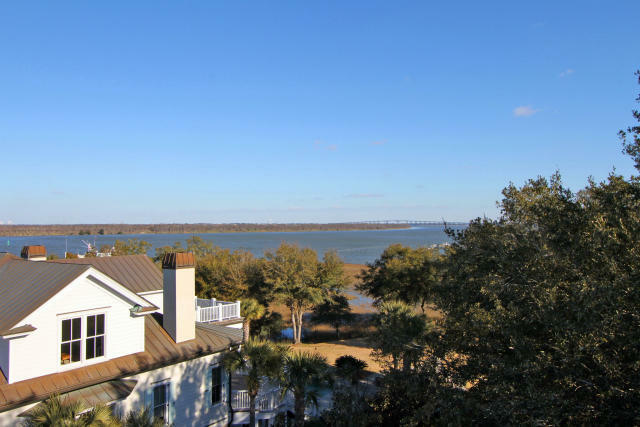 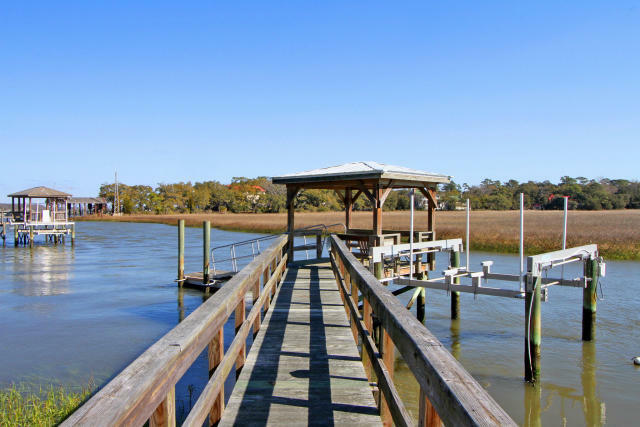 The short dock with covered pier head and floating dock are in close proximity to the Charleston Harbor making this home ideal for the boating enthusiast. 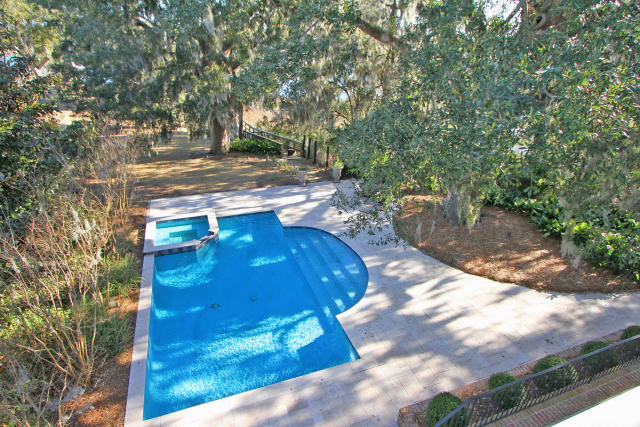 Enter the home through a wide beautiful hallway stretching from the foyer to the rear with beautiful views of ancient oaks, in ground mineral salt water swimming pool and creek. 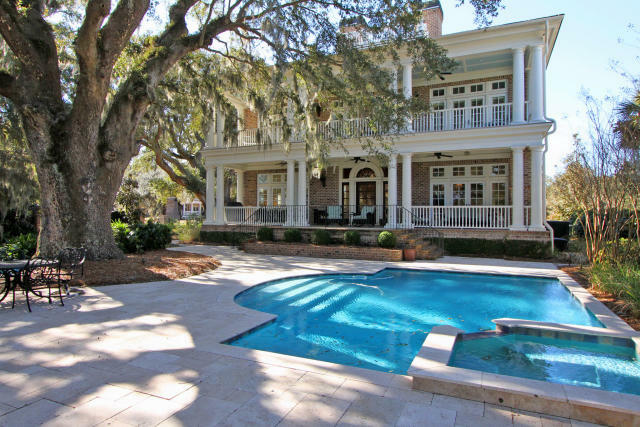 Truly, an unbelievable setting! 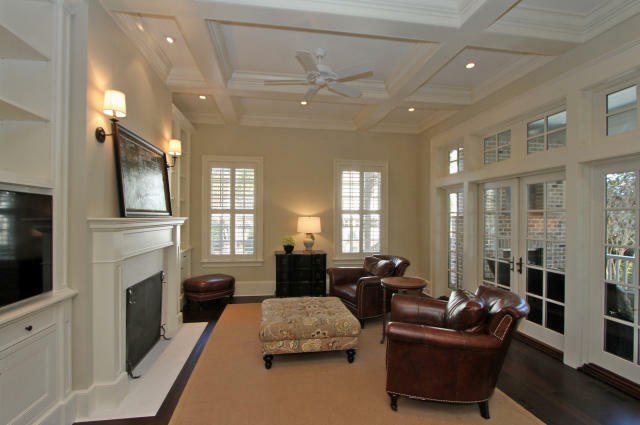 On the first floor, enjoy a handsome study, gorgeous dining room, kitchen open to the family room and french doors to the full rear covered porch complete with fireplace. 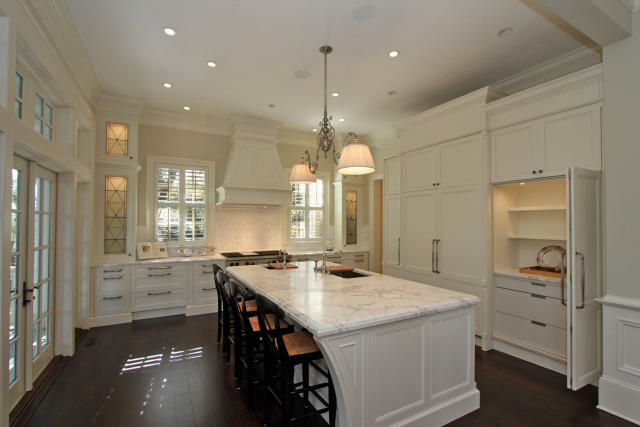 Significant features of the gourmet kitchen include custom cabinetry with leaded glass fronts by local artisan, Calcutta Gold marble, Dual Sub Zero refrigerators and Bosch dishwasher with integrated panels, 6 gas burner Wolfe range, and multiple sinks. 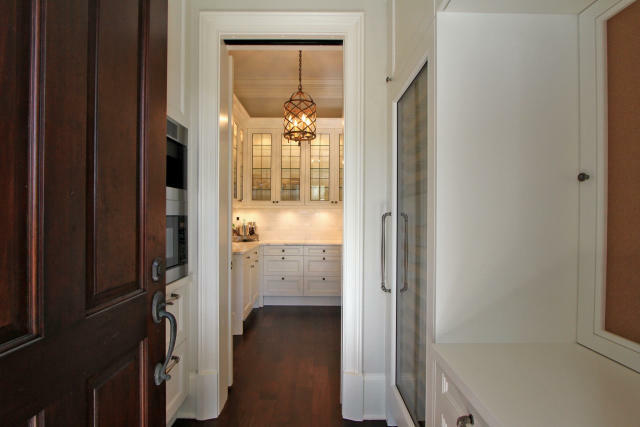 In adjoining butler's pantry, enjoy Sub Zero under counter ice maker, built in Miele coffee maker, Miele dishwasher, Sub Zero freezer drawers and a Sub Zero, 100 bottle, wine refrigerator. 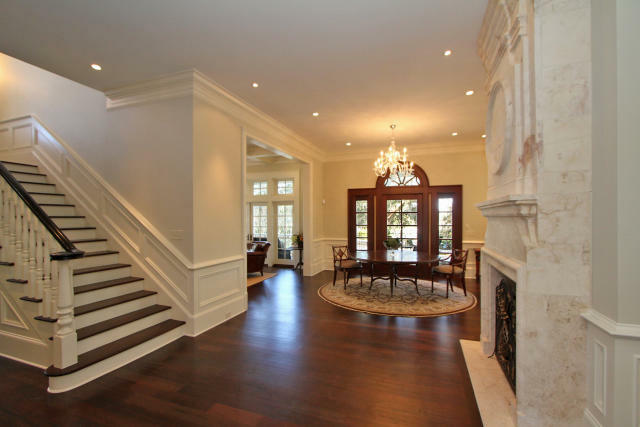 The home has beautiful light that streams through while the gorgeous walnut stained floors offer a rich contrast to the heavily architecturally trimmed home. 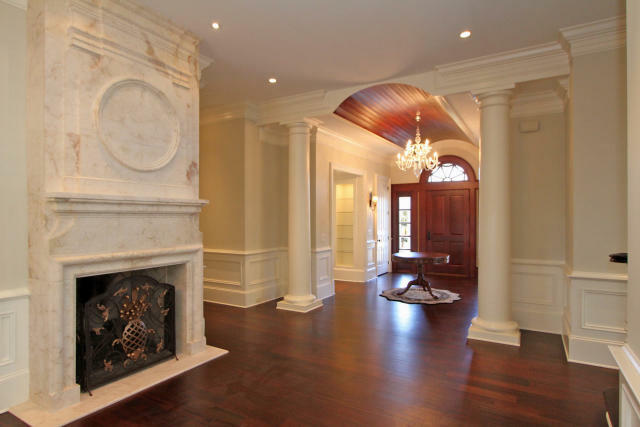 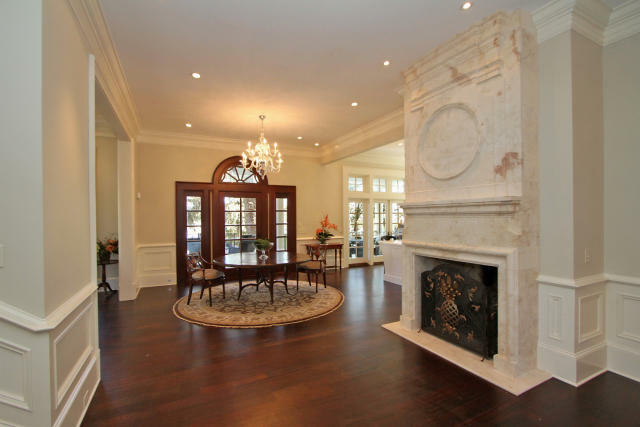 On this floor, there are also two handsome gas fireplaces for enhanced and immediate ambiance. 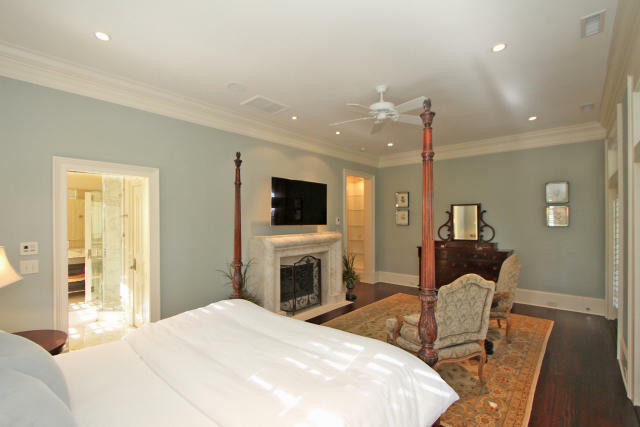 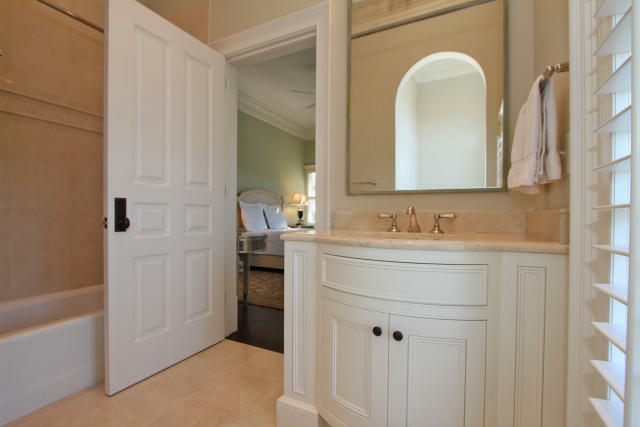 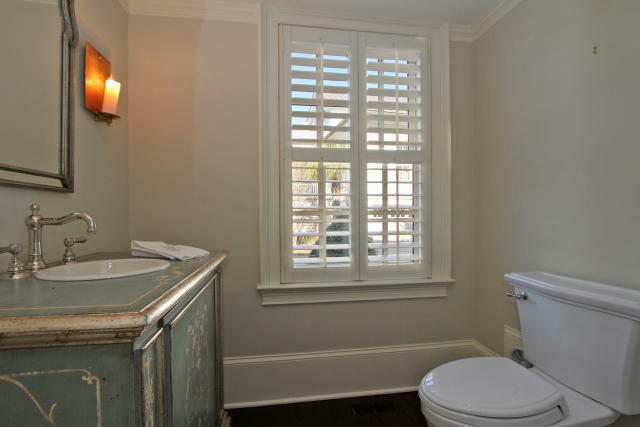 The second boasts four generously sized bedrooms with private en suite marble bath with custom closets. 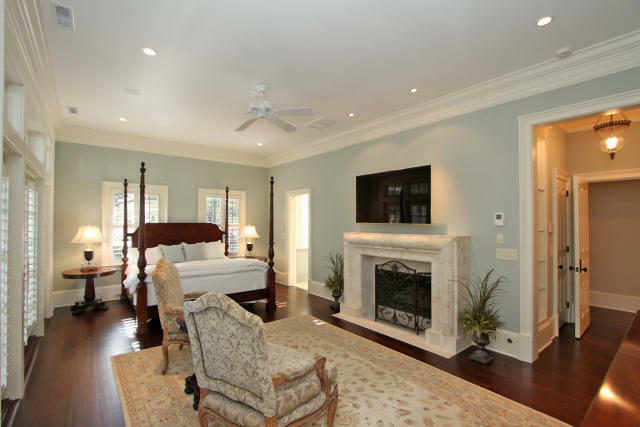 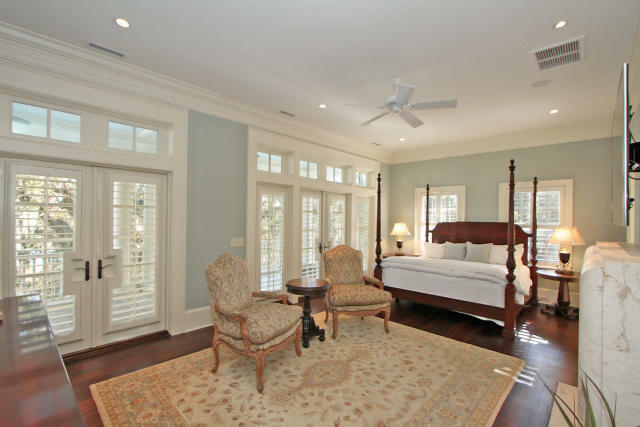 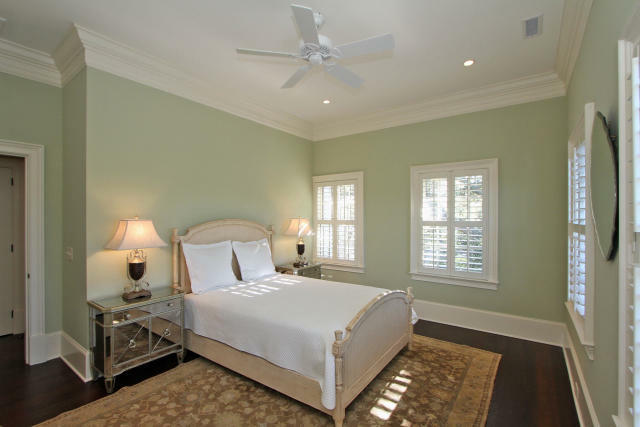 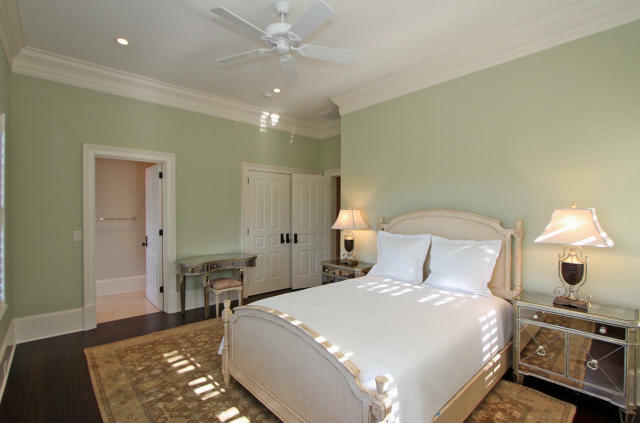 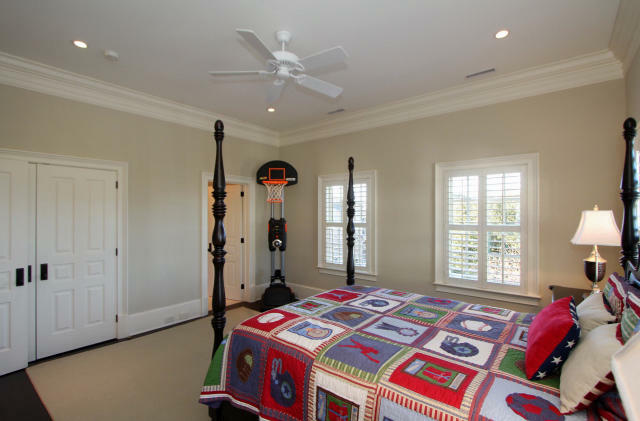 The master bedroom is fabulous complete with marble fireplace and beautiful french doors leading to a second story porch overlooking the gorgeous property and amenities of the oaks, pool and creek! 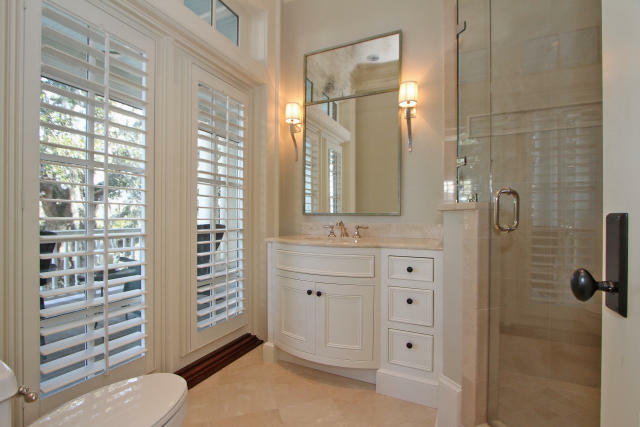 The bathroom is especially lavish with antiqued mirrors, beautiful lighting, Calcutta Gold marble shower, dual vanities and Victoria and Albert free standing tub! 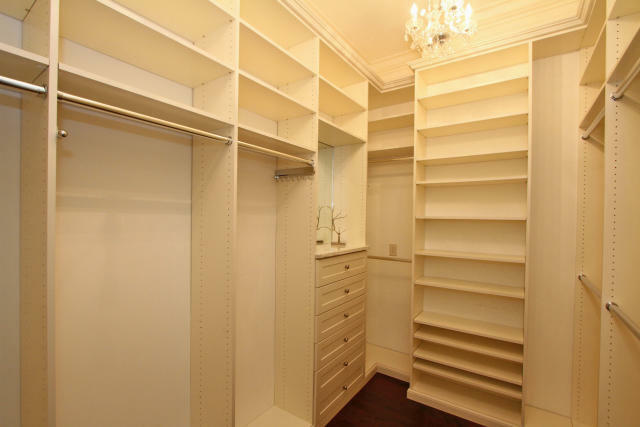 Multiple closets service the master suite! 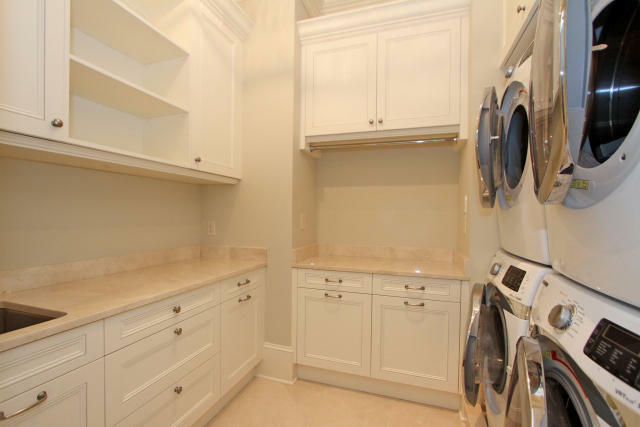 The laundry room is one of a kind with 2 sets of stacked full sized washers and dryers. 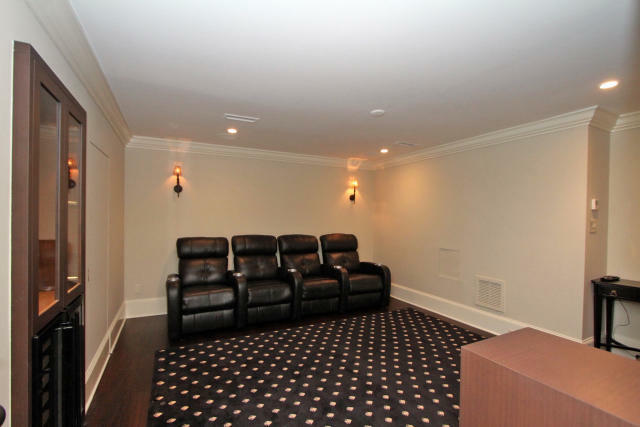 The third floor media room is perfect for movie nights with built in refrigerator and wine refrigerator. 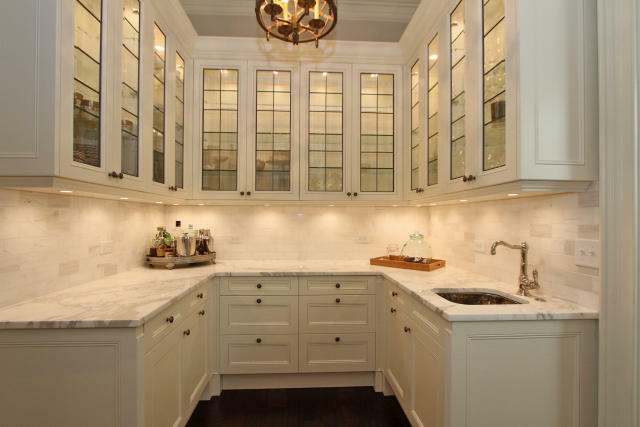 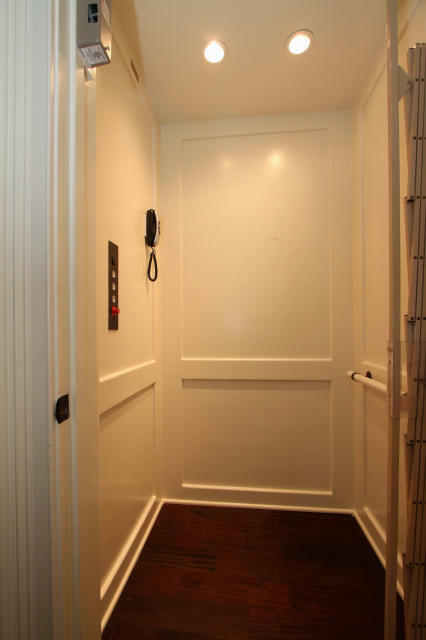 There is plenty of finished storage space that is easily accessible in this area. 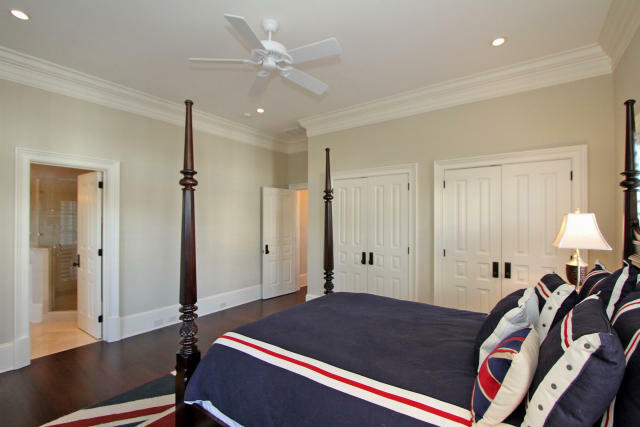 The flexibility of having a 5th bedroom is possible on the 3rd floor also as there is plenty of room to add a bathroom. 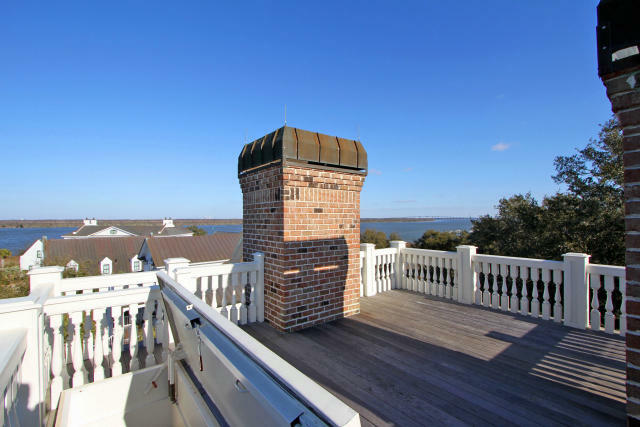 In addition, there is an incredible roof top deck that gives you a 360 degree bird's eye view. 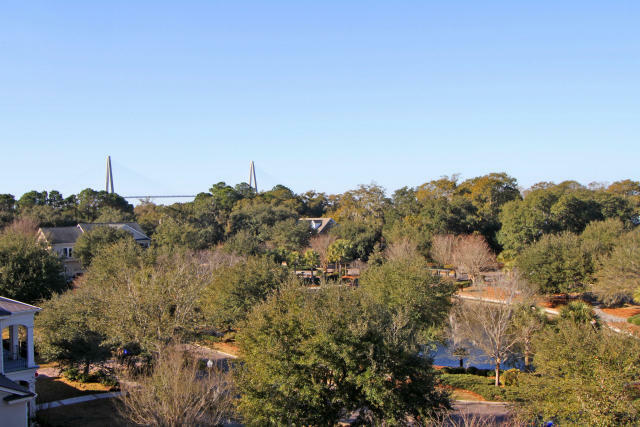 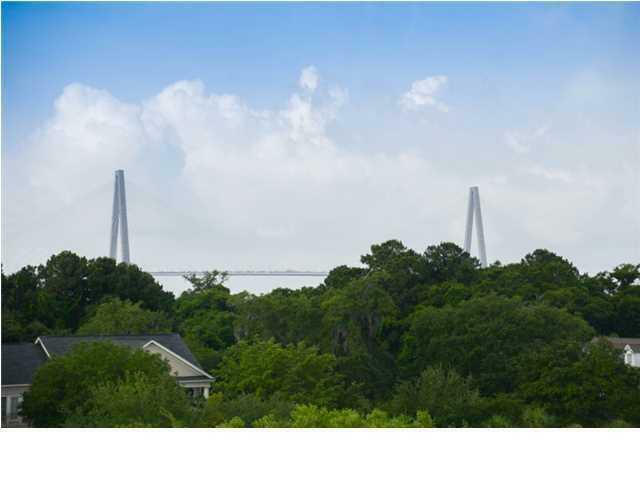 Take in the Ravenel Bridge, Charleston Harbor, Wando River, Molasses Creek and much more--spectacular! 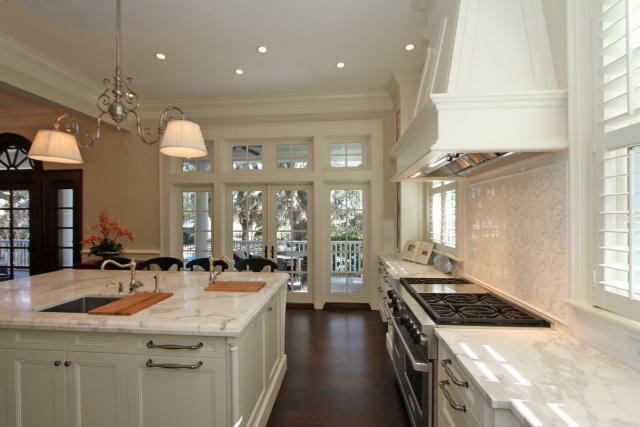 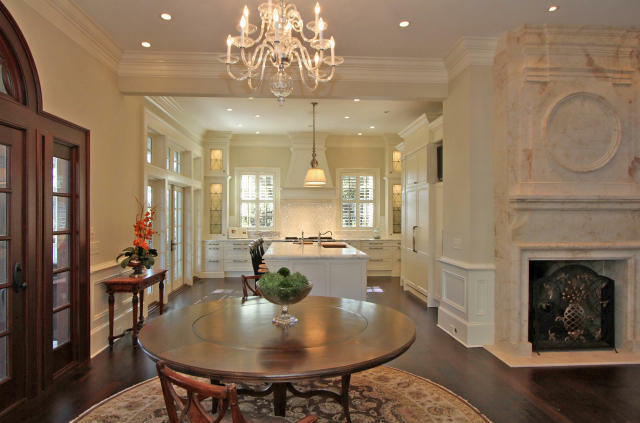 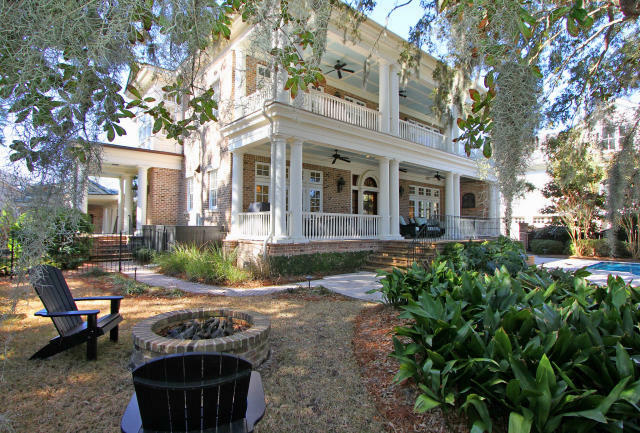 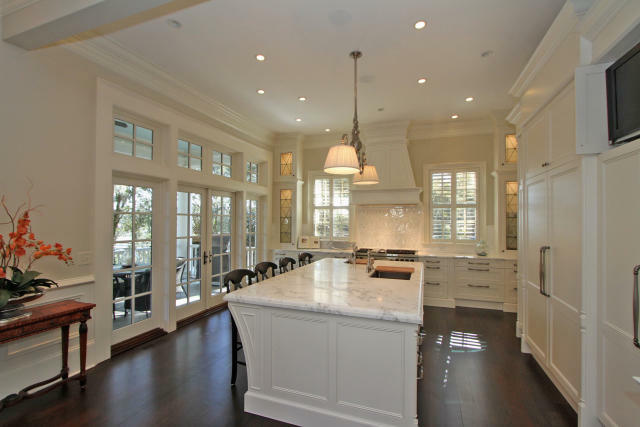 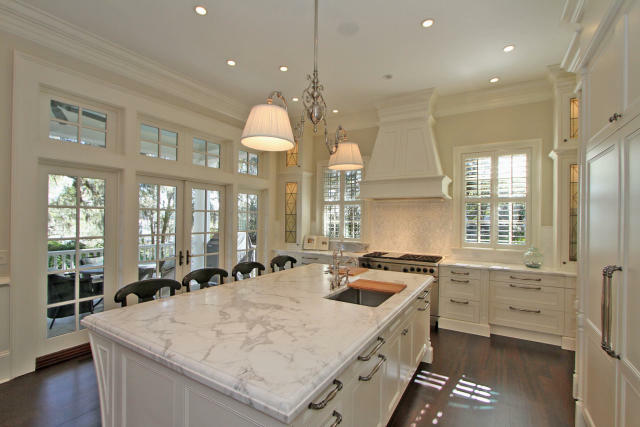 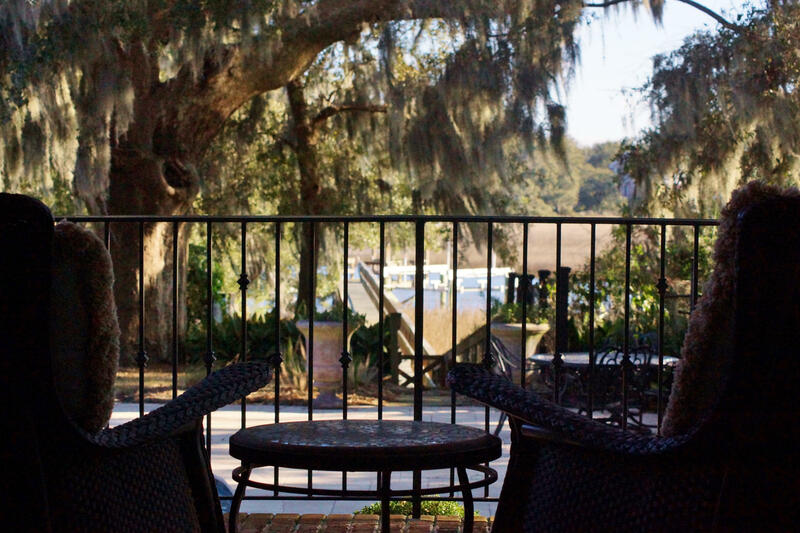 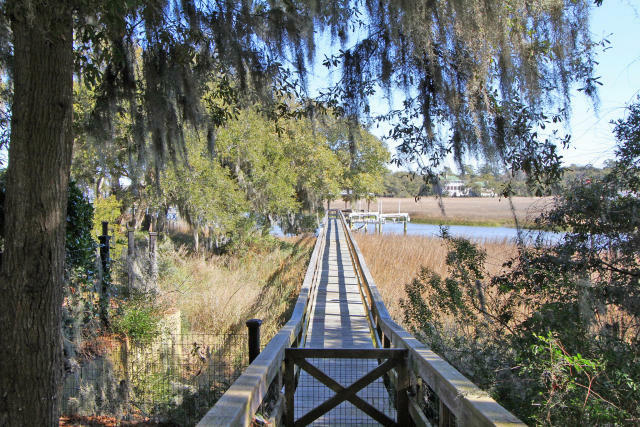 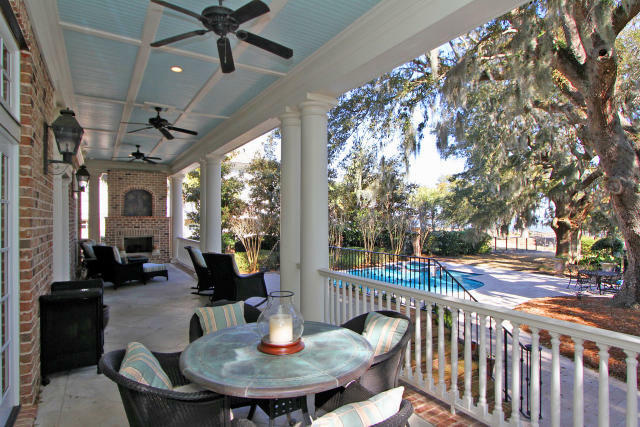 This home offers the ultimate lowcountry lifestyle! 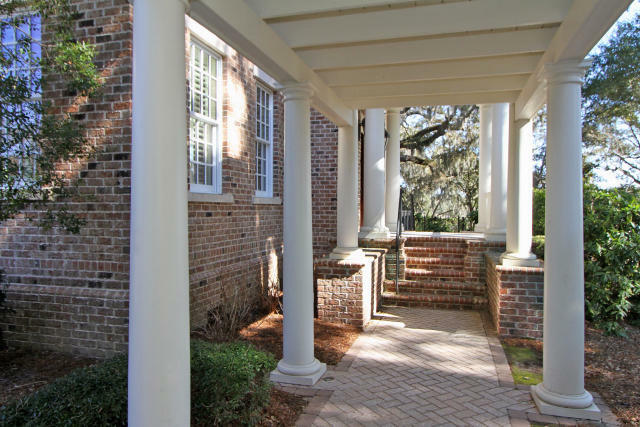 The garage is a three bay beautiful brick structure too and has a covered walkway to enter the home. 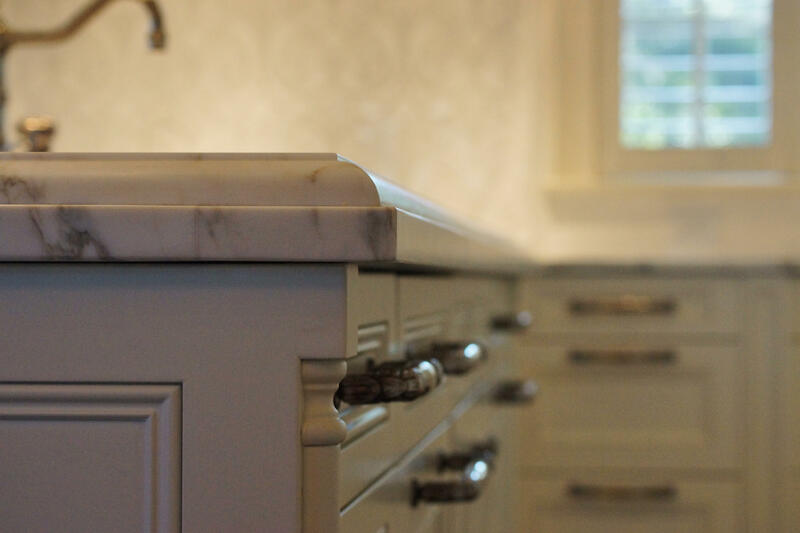 No detail was overlooked or spared.